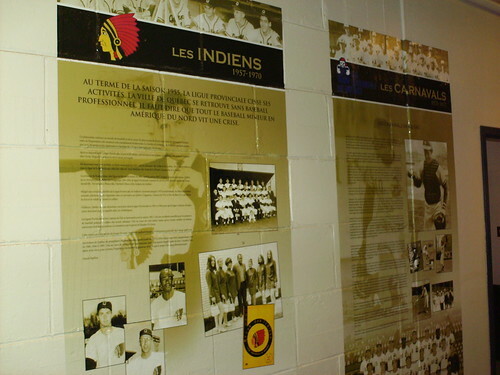 The walls along the concourse are decorated with murals of the history of baseball in Quebec. 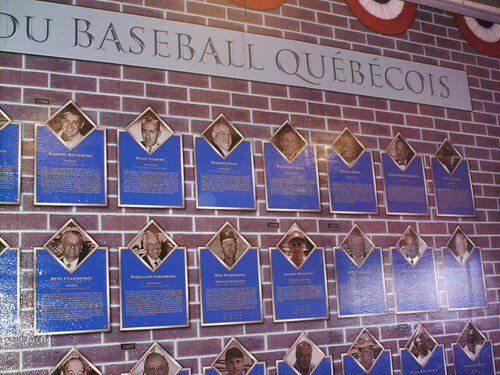 The Quebec Baseball Wall of Fame, under the grandstand at Stade CANAC. 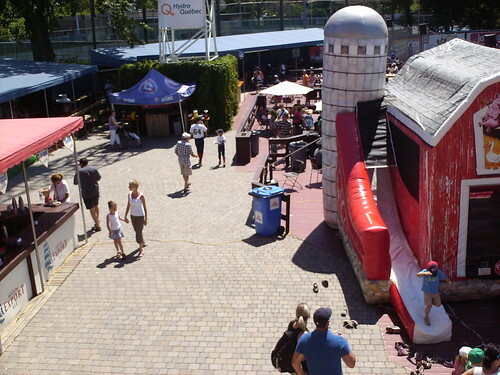 The outdoor plaza, concourse and children's play area on the left field side of the ballpark. 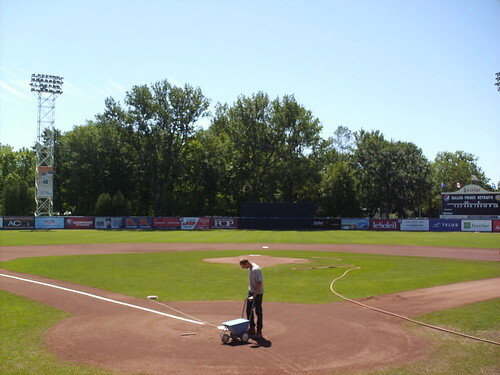 The view from behind home plate before a game. 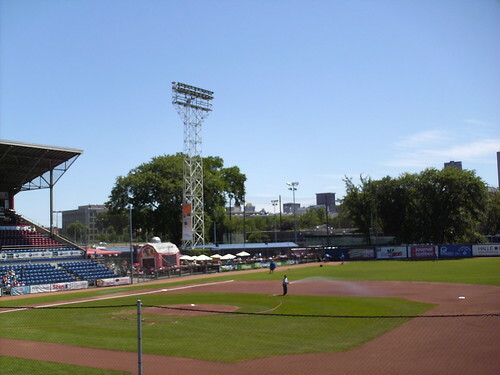 The right field corner, home bullpen and batting cage. 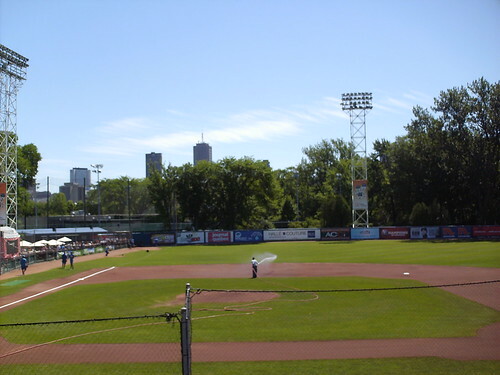 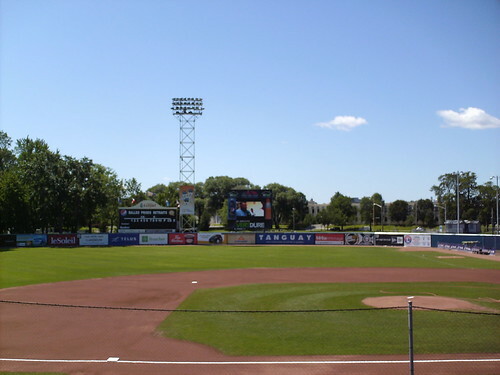 The ballpark sits in the middle of Parc Victoria, a city park. 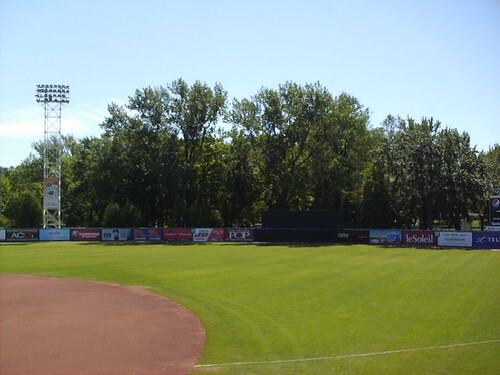 The fairly uniform outfield wall, and the grove of trees that make up the center field batter's eye. 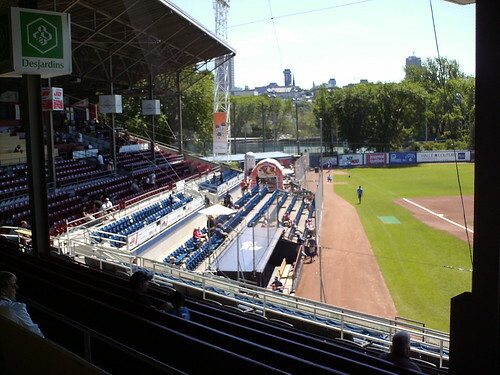 Downtown Quebec City, as seen from inside the ballpark. 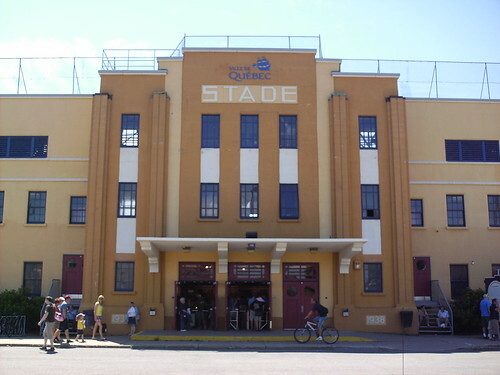 The grandstand and pressbox at Stade CANAC. 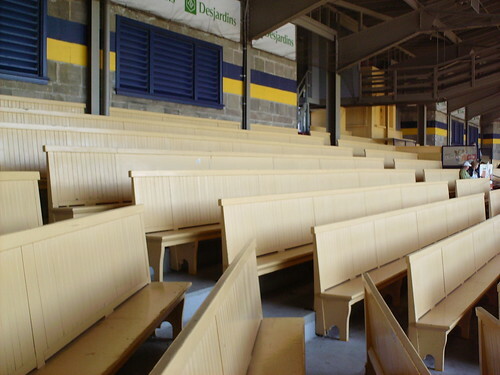 The general admission seats are wooden bleachers with high backs, almost resembling church pews. 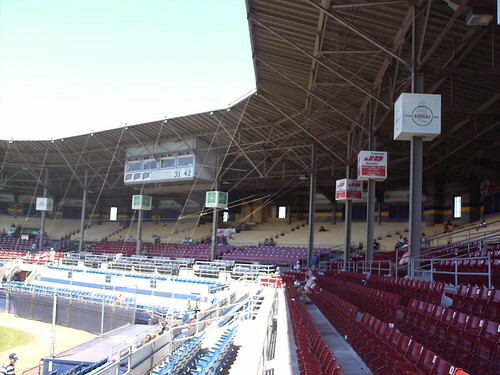 The seating area extends out past the dugout, giving the fans a closer view of the action than the players. 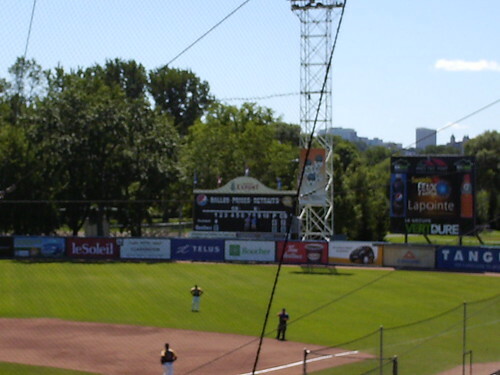 The scoreboard in right center is manually operated, and run by two people who stand atop the outfield fence for the entire game. 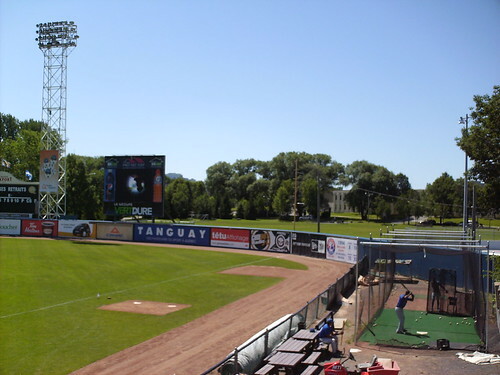 When the home team fails to score in an inning they get a "0", but when the visiting team doesn't score they get a goose egg. 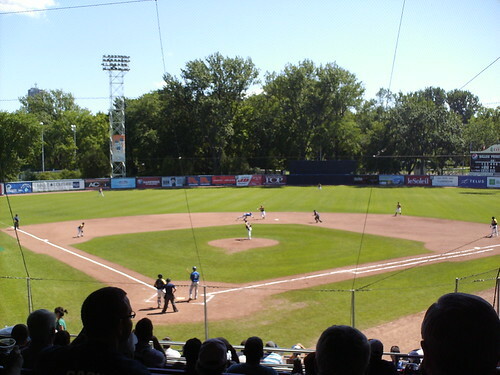 The Quebec Capitales on the field during a game at Stade CANAC.